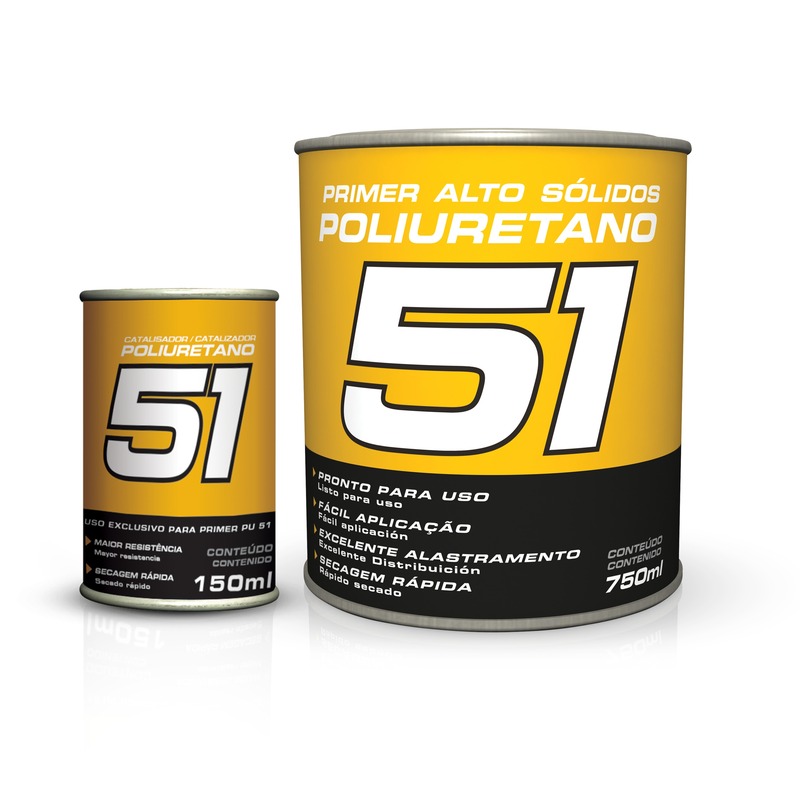 Indicated for promoting filling and adherence in the preparation of metallic surfaces in general paintings or small repairs, presents good performance when applied in combination with polyurethane and/or polyester finishings. For application in plastic parts and fiberglass, the use of MAXI RUBBER Plastic Sealer is recommended. ATTENTION: For ferrous and non-ferrous metals, the application of the Wash Primer Maxi Rubber is required for a perfect adhesion and greater anticorrosion protection. No dilution required. Product ready for use after catalysis. • Homogenize the product before its application. • Apply 2 to 3 underlays, respecting the application interval of 5 - 10 minutes between underlays. • For ferrous and non-ferrous metals, prepare the surface and apply Maxi Rubber Wash Primer for a perfect adhesion and greater anti-corrosive protection. • If necessary, correct primer imperfections using rapid compound and reapply the primer over the area. • Always use the indicated thinner for dilution. • Perform sanding only after the recommended drying time in order to prevent lapping. 2 year. Stored at a temperature of 15 to 35ºC and away from humidity. Primer: Acrylic resin, organic and inorganic pigments, organic solvents and additives. Catalyst: Polyisocyanate and organic solvents.